had a doctor's appointment today and i was supposed to get my hair cut... but i decided to cancel the haircut. i feel like most of the damaged hair is gone now, so i can start going longer between cuts... which is definitely the dream! 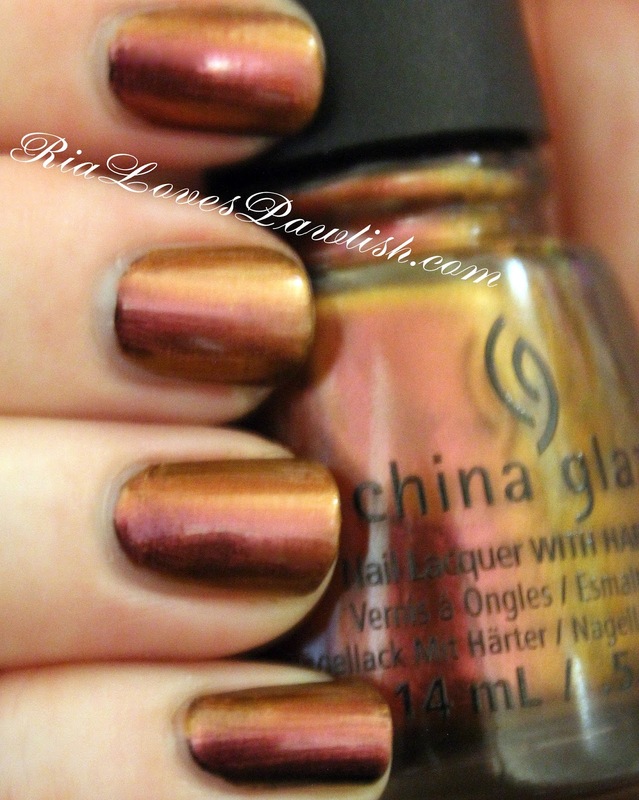 the next duochrome from China Glaze The Great Outdoors is Cabin Fever! (it's a press sample, kindly provided to me for review). this duochrome flashes from pinky cranberry to gold! LOVE this polish, i knew when i pulled it out of the box it would be one of my faves :) it has a very subtle shimmer, but you don't really notice it. this one you could get opaque in two coats, but i like it best with one coat over a black creme base! be careful with your brushstrokes as you will probably have a few visible ones, and you definitely want them to be straight! i've decided i like topcoats with these duochromes after all... they are shiny on their own, but nice and glossy with topcoat... and best of all, it actually dries on me! still have no idea why polishes will not dry on me without help. the swatches below are without topcoat, as i was still pondering which i liked best! here are two photos in different lighting! one coat Gone Glamping, over one coat Salon Perfect Oil Slick (also a press sample). wish i could have gotten this next one into better focus... the color flashes are so sneaky, though!